Urban Renewal Corp (URC) is a nonprofit 501(c)(3), community- based organization. We are committed to addressing and counteracting the effects of homelessness. 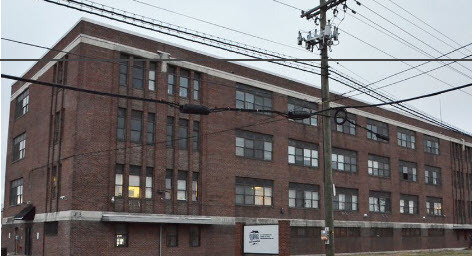 Our organization has been providing emergency housing and comprehensive social services to not only veterans, economically disadvantaged and the adult homeless population, but to thousands of hard to place individuals including violent and long-term, multigenerational offenders in Newark, Essex County/Hudson Counties since 1994. URC is known to be the “go to” organization for emergency housing, answering the call of families and individuals in crisis. URC responds to New Jersey’s emergency needs; whether it is a State-declared medical quarantine, weather related emergency, or the relocation of individuals displaced by fire. URC has been the organization on the front lines providing the emergency services needed. Since our inception, we have been an integral part of the Emergency Housing Community and a strong presence in the landscape of supportive services. Urban Renewal’s mission is to increase the quality of life for very low-income individuals and to make a permanent and positive change in the lives of each person we serve. Our goal is to help people move from homelessness, substance abuse, dependency, and public assistance into permanent employment and stable housing. URC has created a paradigm that provides our clients with the opportunity to maintain their dignity and regain their self-sufficiency. Where am I going to get my next meal? Interested in Helping Our Emergency Housing Programs? Urban Renewal Corporation (URC) is a community based non-profit organization that has provided a variety of essential social services to vulnerable populations in New Jersey for over two decades. Our mission is to enhance the quality of life for the economically disadvantaged, and to have a positive and sustainable impact in the life of each person we serve. We serve over 2,000 homeless and economically disadvantaged individuals/families per year. • Clothing. The lack of clean, well-fitting clothes and shoes causes great hardship beyond exposure to the elements—it hurts one’s self-image and one’s chance to get ahead. People experiencing homelessness must travel light, with few opportunities to safely store or adequately clean what they can’t carry. On job interviews, a poorly dressed person has little chance for success. Give your clean clothes to those who could use them. Before you give your own clothes or start a clothing drive, talk to your local shelter or call URC and find out what items they really need. Most have limited storage space, and can’t use winter clothes in summer or vice versa. Some serve only a certain group of people. Please clean the clothes before you donate them. • In-kind services and materials. Our clients may sometimes need transportation, marketing assistance, computer equipment and assistance, electrical work, building materials, plumbing, etc. • Household goods or other items. Our clients may need items such as kitchen utensils, furniture, books, toys, games, stuffed animals, dolls, diapers, etc. • Books. 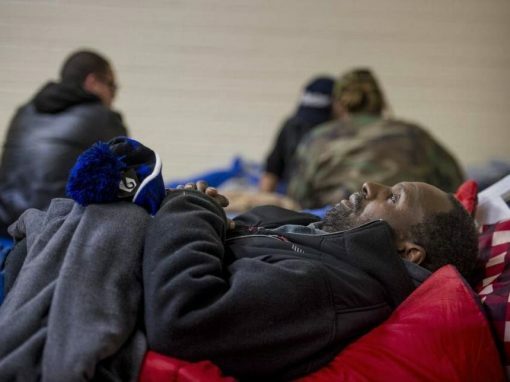 People experiencing homelessness may have limited access to a library and find that there is little for them to do when spending a night at a shelter. Find out if your local shelter would appreciate donations of books. Consider organizing a book drive to create a small library at the shelter if there is not already one there. • Computers. Many non-profit organizations have a difficult time purchasing expensive but essential equipment such as computers. If you have a machine you no longer need, URC would greatly appreciate the donation. • Homeless “survival kits.” Create and distribute kits that include items such as cups, pots, pans, soap, shampoo, toothpaste, toothbrushes, and cosmetics. (Try coordinating this through a group that gives out meals from a van, for example.) During cold weather, organize drives for blankets, coats, hats, scarves, mittens, socks, and the like. • Phone calls. Help people experiencing homelessness contact loved ones by offering the opportunity to make free long distance calls on holidays. Donate to or organize a cell phone drive for the homeless. • Job opportunities. Encourage your company, school, or place of worship to hire people experiencing homelessness (if they are not already working). Most unemployed homeless adults desperately want to work, but need an employer to give them a chance. • Support for a homeless person or family. As people move out of a shelter or transitional housing program, consider raising money to contribute for a security deposit, or assist by contributing household goods, babysitting, or moral support. See if your local shelter has a partnering program.